Bronx-born artist Little Bear is at home in Chicago, thriving off the city’s creative community. ‘Every time I’ve come it’s been a creatively rejuvenating experience for me and challenging experience for me.’ Little Bear thrives off the notion of challenge and rejuvenation, an acceptance of difficulty in order to grow. With growth comes death and hardship, and The Needs EP addresses many somber themes inspired by their real life. The EP ultimately hits as a triumph of acceptance and wonderment at the times we live in. Little Bear’s openness comes from a strong family background growing up in The Bronx. “I’ve lived in the same apartment my whole life.” They grew up in a Reconstructionist Jewish family, one of the more liberal sects of Judaism in terms of viewing the scriptures as evolving documents alongside modernity. Their family made it a point to get out and experience whatever they could from other cultures, and New York City’s unique mixture of global custom painted in American infrastructure provided them with much to take in. They grew up riding the trains to Manhattan on a daily basis to go to school, turning the city’s daily life into something they would digest regularly, warts and all. Little Bear’s father was also a musician, and they grew up surrounded by live performance and the creative process. “[My father] plays in a 20-piece brass brand and I grew up in the center of that, which I think has informed a lot of the music I make.” Little Bear learned drums first, but went on to learn a variety of instruments and played a lot of brass-heavy music. For them, music was linked to family and community, a way to engage with other people in a spiritual sense. This experience making music with such large groups of people is in contrast to the process creating the Needs EP, where Little Bear was more isolated in their creative process. They admit that they were going through some difficult things during the writing of these songs in 2016. The death of a close grandparent, the ups and downs of being in college, the heated election cycle all weighed on them, and yet the EP is ultimately a testament to self-acceptance while acknowledging points of growth. After they wrote these songs on their own, they invited in other musicians to work on the project to inject that communal aspect back into it. Little Bear is contemplative and their relationship with their grandmother seems to be an anchor for them when putting life in perspective. Their grandmother is a Holocaust survivor, and they have had the opportunity of asking her questions about those experiences. ‘We share a soul’ they say of their grandmother. Having a close relationship with a grandparent with this kind of experience is a special thing, and they don’t take it for granted. It is the kind of experience that makes Little Bear’s music emotionally mature yet inviting to navigate. The EP’s middle track ‘Airplane Mode’ is the climax, and it stands as a dirge to the realities of social media, gun violence, and relationships in the modern world. It features sparse production that crescendos on a big chorus: I reach for my side. You reach for your side too. “When I talk about reaching for your side, that’s a side being a cell-phone, a gun holster, and a side of a bed.” Little Bear was taking a broad look at the world and trying to grapple with it, while also understanding the beauty and excitement that comes with uncertainty. Couple that with the opening track ‘Start’ that begins with the conch shell, welcoming the listener into the project. Little Bear establishes a tone of security and openness, encouraging comfort during what may be an emotional listen.Little Bear recounts sitting with a stranger in a baseball dugout in the early hours of the morning the day their EP dropped, discussing the significance of the conch shell as a symbol of rebirth and talking together late into the night. Little Bear is a trombone player and considers the horn an instrument of rebirth and growth. The music sounds triumphant and vulnerable, and the EP is a crisp listen at 16 minutes. At only 20 years old Little Bear is tremendously talented as a musician with an openness that makes them a supportive force for collaborators. The Needs EP was the first time they had really isolated themselves in the writing process, and the result came full force when they added their friends into the final recording process. As they prepare for their senior year at college they are just beginning to play these song live with an 8-piece band. 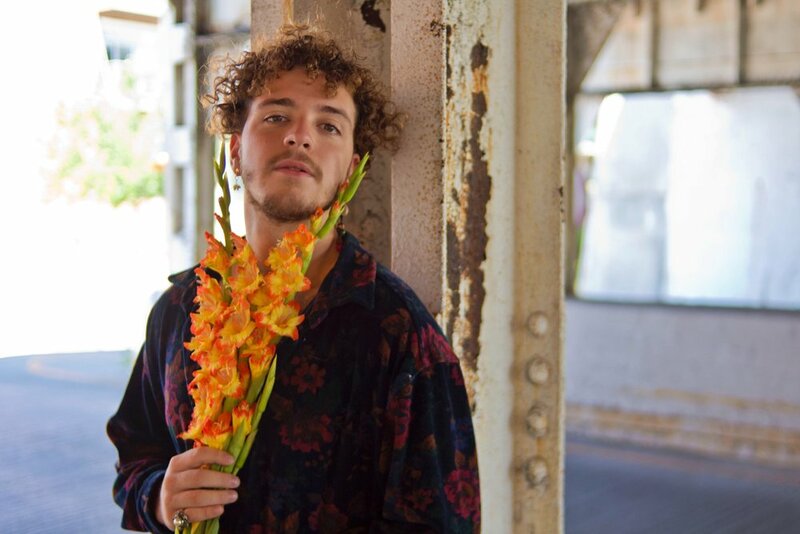 They come to Chicago often and have worked with exciting young acts like Ric Wilson and Sol Patches, so they are surely someone to look out for.